From toilet roll holders for tents to packing cubes that organize luggage, most travel products are just gimmicks. I make it a point to only travel with items I’d use at home. The road is my home, so it only makes sense. But there’s one exception. The SteriPEN is by far the most useful travel product on the planet. Before mine was stolen, it was the only travel-specific product I carried. It had saved me many times, from the pasty mouth of dehydration to the deathly grip of travel sickness. If you ever travel into back-country or to developing countries, it’s a must-have piece of kit. What on Earth is a Steripen? SteriPEN products are ultraviolet light water purification devices. No more bottled water, no more boiling water; you turn it on, shake it around in your water, and it kills 99.9% of bacteria, viruses, and other nasty stuff. It’s not new technology either; cities and bottled water companies have used it for decades to purify the water that millions of people drink. But SteriPEN was the first company to bring it to the global travel scene to help Globetroopers alike avoid travel sickness on the road. A SteriPEN device is generally battery-operated (there’s also hand-powered and solar-recharging versions) and small enough to carry in a purse or small bag. It contains a glass tip, which you insert into the water for a predetermined period. Indicator lights confirm whether your water is safe to slurp. As long as you remember that you should only use the SteriPEN on clear water, then you shouldn’t have any problems. Even if you’re in the back-country and have access to murky water, you can filter it through a piece of clothing or use the SteriPEN Pre-filter (which is a separate accessory). SteriPEN build products for military, government and emergency situations, but most of you will be interested in their adventure and travel series. With that said, they have an exciting hand-powered product, called the Sidewinder, that doesn’t use batteries. It would be perfect for backup on dangerous expeditions that risk losing all power. Nonetheless, here are the most popular models. You’ll be especially surprised by the prices. Even though they use enterprise-grade technology and are quite literally life-saving devices, all can be bought for less than $100! 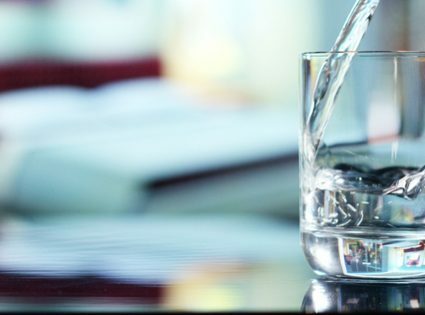 Usage depends on the model, but generally, you submerge the glass lamp, press the button once or twice (depending on if you’re purifying 1 litre or half a litre), a liter the water with the ‘PEN’ until the indicator suggests it’s ready. There’s nothing stopping you from doing it twice if you’re particularly worried about purity and you can take comfort in the fact that the SteriPEN has safeguards to ensure you know if the treatment has completed successfully. You may also choose to treat sealed bottle-water if you’re uncertain of its purity; remember, not all spring water comes from a perfectly pure spring, and in some countries street vendors just bottle tap water to earn better margins. We previously owned the Traveler, which is the base model and very sturdy, reliable and easy to use. My only gripe, apart from it being stolen, was that it was a little too large. I’ve written previously about travelling with carry-on luggage only, and so I only carry a 32 litre Deuter backpack. I hope that puts it in perspective, because it’s not large at all, but without much real estate in my pack, I like to keep everything lightweight. That brings me to Lauren’s Mongolian desert expedition, Gobi 2011. As most of you know, she’s walking 1,600km (1000 miles) across Mongolia’s Gobi desert with an expedition team of 12 others. Apart from the poles, Mongolia is one of the most remote places on the planet, where water isn’t sold by the bottle on every corner. For the expedition, SteriPEN have kindly sponsored Lauren with the SteriPEN Adventure Opti with solar-powered case. Disposable batteries will be even less common than fresh water in the desert, so the solar-powered case will be very handy. And keep in mind, even though it takes 20 hours to recharge the SteriPEN, it may only need charging once every few weeks, even with the impossible demands of expedition desert travel. Also, the Adventure Opti is teeny tiny compared to the Traveler, at only 103 grams, so it gets my carry-on friendly tick of approval. What Does the SteriPEN kill? All Bacteria: such as Cholera, Campylobacter, E. Coli, Legionella, Salmonella, etc. All Viruses: such as Hepatitis A, B, C, D ,etc. All Protozoan Parasites: such as Cryptosporidium, Giardia, etc. When Doesn’t the SteriPEN Kill?